When your cruise ship docks at the Port of Oslo, maximize your time in the city, and take a shore excursion around Oslo Fjord. Aboard a sightseeing boat, you’ll enjoy views of both the city and countryside, and listen to onboard commentary as you cruise. Choose from a selection of departure times, and then make your own way to the pier opposite Oslo City Hall. Your shore excursion takes place on Oslo Fjord, the city’s beautiful body of water, which is flanked by the urban sights of Oslo as well as rocky shores and islands. Relax as you cruise, and admire the forests and hills that surround the city. Cruise through sounds and meander around the small islets that are home to summer vacation villas. Your guide will explain the area’s geography, history and culture while on board. 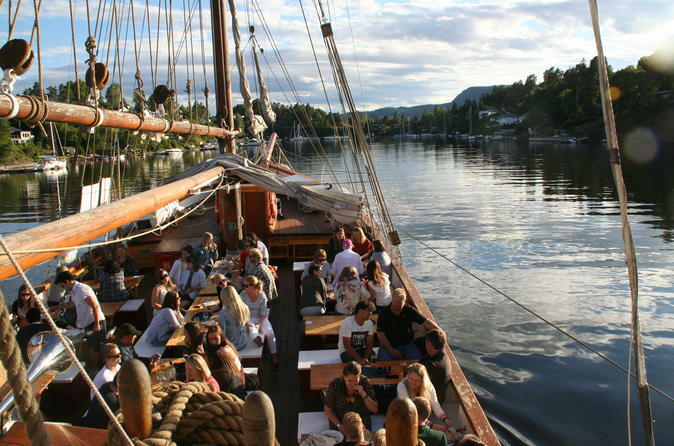 After two hours of cruising around Oslo Fjord, return to the start point where your experience ends. Worry-Free Shore Excursion:We will ensure your excursion ends with ample time for you to return to the Port of Oslo for your cruise ship’s departure. In the extremely unlikely event your ship has departed, we will arrange for transportation to the next port-of-call. If your ship is delayed and you are unable to attend this activity, your money will be refunded. See our terms and conditions for full details.